Miranda Aldhouse-Green, Sacred Britannia: The Gods and Rituals of Roman Britain (London: Thames & Hudson, 2018), ISBN 978-0-50025-2222, £19.95, illus. If there is anything that gets me more excited than the material remains of ancient British Christianity, it is the material remains of ancient British paganism. Yet the only form of paganism attested in any detail in the archaeological record is Romano-British religion, the subject of this book. Miranda Aldhouse-Green’s Sacred Britannia is the first book dedicated to Romano-British religion for the general reader since the appearance of Guy de la Bédoyère’s Gods with Thunderbolts in 2002, and it does not disappoint. Sacred Britannia is structured thematically, with chapters focussing on such topics as the role of the Roman army, divination and cursing, religious symbolism, mystery religions, early Christianity and beliefs about the afterlife. However, running through the whole book is a particular focus on the question of the ‘Britishness’ of Romano-British religion, and therefore its potential Iron Age origins. 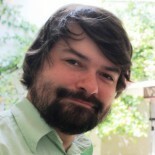 This is unsurprising, given that Aldhouse-Green is also an expert in Iron Age British religion, but it also makes a change from the approach sometimes adopted by Classicists, who compare Romano-British religion with Roman religion rather than viewing it in the context of what we know of prehistoric British religion. In one sense, there is a wealth of evidence for religion in Roman Britain (43-409CE) in comparison with the evidence for religion in the British Iron Age that immediately preceded it, not to mention the evidential dearth for post-Roman and pagan Anglo-Saxon religion. However, the material evidence greatly outstrips the written record. There was no Romano-British Bede, and the written evidence is confined to a few stray (and unreliable) references in Roman authors and the enigmatic epigraphical testimony of altars and curse tablets. Occasionally, images of deities are paired with a clear name, but all too often cult images or cult objects are all that survive, leaving the historian with no choice but to engage in well-informed and intelligent speculation. Aldhouse-Green follows her predecessors on the path of drawing conclusions about Romano-British religion by comparisons with Gaul, a technique not dissimilar to the tendency of Anglo-Saxonists to speculate about early English paganism by reference to Norse paganism. Both approaches are open to question, however; the comparison with Gaul is justified by the claim that Britain and Gaul were religiously similar, but one of the main reasons why the idea that Britain and Gaul were religiously similar has arisen is because scholars have repeatedly argued it. Less frequently, and with clearly signposted caveats, Aldhouse-Green draws comparisons with the medieval literary evidence of ancient Irish tradition – an even more perilous business. Nevertheless, owing to her background in the study of prehistoric religion, Aldhouse-Green never loses sight of the possibility that British sacred sites might have pre-dated both the Romans and the Iron Age – the shrine of Apollo at Uley, which appears to have Neolithic origins, being a case in point. Aldhouse-Green is also willing to entertain the possibility that some of the gods of Roman Britain were ‘invented at need’, especially by the Roman army stationed in Hadrian’s Wall. This is an interesting challenge to the usual assumption that gods with British names always represented a deep-seated Iron Age cult that was co-opted and culturally assimilated by the Romans. We simply do not know enough about Iron Age religion to be able to ascertain the extent to which it was romanised; for example, apart from a few stray Iron Age coins found in the spring at Bath, we have no idea whether the site that became Aquae Sulis was a sacred site to the pre-Roman Britons, since the evidence of Iron Age cult is so ephemeral. Was Sulis herself an ancient British god, or was she a confected goddess with an evocatively British name, invented in order to give the hot springs an appropriate back story to attract pilgrims? On the other hand, Aldhouse-Green shows that distinctively ‘British’ representations of deities with surreally large heads and lentoid eyes, or even as schematic figures more at home in twentieth-century abstract art, continued right to the end of the Roman period. An attempt to understand the nature of Roman religious syncretism in Britain is central to the book, and one of its most original contributions is Aldhouse-Green’s departure from the usual stereotype of Roman religiosity as welcoming of syncretism except when it ran up against monotheistic faiths. Aldhouse-Green devotes a chapter to exploring the possibility of religious conflict in Roman Britain, considering the ambiguous evidence of apparent iconoclasm and cultic transformation at sacred sites. Rather than ascribing all evidence of iconoclasm to Christians after 381 (when Christianity officially became the empire’s state religion), Aldhouse-Green suggests that prejudice against mystery cults and rivalry between pagan religious groups may have been just as significant a factor. Furthermore, she questions the notion that Christians were always straightforwardly iconoclastic, suggesting that the undamaged head of the cult statue of Apollo at Uley may have been re-used as the head of a statue of Christ at the Romano-British church that succeeded the shrine. Aldhouse-Green notes that Romano-British Christians’ apparent enthusiasm for pictorial representations of Jesus Christ was not shared by many other Latin Christians of the fourth century. 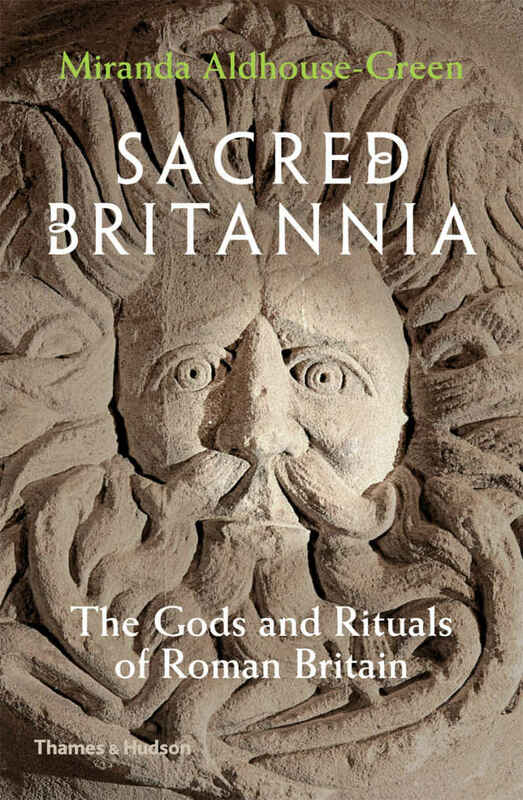 Sacred Britannia is an interpretative rather than an encyclopedic account of Romano-British religion; Aldhouse-Green’s aim is not to interpret every known site or archaeological discovery, but to offer some general conclusions about the religious make-up of Roman Britain as a whole. In doing so she not only recognises the looming presence of the prehistoric past but also the cultural diversity of Roman Britain (which extended to the presence of Chinese people in Roman London). Sacred Britannia probably does the best job that can be done with the frustrating evidential problem of Romano-British religion. Owing to the materials used in Roman cults (such as stone and lead), the religious culture of Roman Britain has left extensive physical traces, but the surviving evidence offers us so little help in interpreting it that we are essentially still at sea, even when every new archaeological dig produces more evidence. While Aldhouse-Green is surely right to seek to understand Roman religion against the background of prehistoric British religion, the effort to use an even more evidentially ambiguous religious culture to understand that of Roman Britain is doomed to break down into speculation. Truly, the past is a foreign country – and none more foreign than Roman Britain, where the soil under the feet of our ancestors was the same as under ours, but their world of belief remains ultimately impenetrable. Yet the very impenetrability of Romano-British religion is what makes it so fascinating. Thanks for this – book goes on my list! You might want to correct the typo at para 4, line 4 – though it’s quite a fun one! This entry was posted on October 23, 2018 by jacobite.